To order a printed copy of the Laura Ashley Home catalogue, simply click the Request button below. You can download the Laura Ashley Home Catalogue instantly as a digital iCatalogue [?]. View the Laura Ashley Home Online Catalogue Now! Bigger than before, with pages full of exciting new themes that combine Laura Ashley classic styles with modern looks for today's living – Full of inspiring furniture and decorating ideas designed to refresh and brighten up your home. From it's humble beginnings as a home–run business, today Laura Ashley has hundreds of products on offer, none of which have lost the bespoke feel and classic design of the original products. They also offer a made–to–order service, so you can be sure of getting exactly what you want with them. Their designs have been praised by several leading design publications – order a catalogue today to see why! Laura Ashley Home Catalogue Victoria L. said: wow! I didnt realise what beautiful products Laura Ashley have! Laura Ashley Home Catalogue Richad H. said: Excellent will svae for some of this lot! Laura Ashley Home Catalogue Shirley F. said: Very disappointed. Have bought elsewhere. 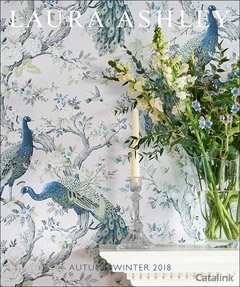 Laura Ashley Home Catalogue Paulina K. said: Funtastic catalougue! Laura Ashley Home Catalogue Sarah S. said: lovely catalogue but slow to arrive! Laura Ashley Home Catalogue Angels M. said: Great book lovely items on display. Laura Ashley Home Catalogue Annette W. said: Good catalogue, will keep it on the coffee table. Laura Ashley Home Catalogue Linda B. said: I usually shop at my local shop. But may order online as well. Laura Ashley Home Catalogue Susan T. said: Work/family commitments limit time - nice to be able to get ideas and buy if I want. Laura Ashley Home Catalogue Ruth S. said: better quality! <b>Seton</b> strives to ensure customers are up&#8211;to&#8211;date with changes to workplace legislation. They are commited to providing a Safe, Secure Workplace &#8211; <i>Are you</i>? Make your home your own with Todd Internal Doors. Whether for your bedroom, office, kitchen or living room come see how a beautiful door can make a difference to any project. By pressing the Request Printed Catalogue button you give consent to Laura Ashley Home (and their Data Processors for the specific purpose of delivering your literature) to send you their Catalogue.